I am something of a handbag obsessive. Nothing pleases me more than the smell of a freshly purchased bag, followed by the excitement at carefully unwrapping it from it’s pristine dust bag for closer inspection. Now I should point out that I only own a handful of bags in which I’ve experienced that adrenaline rush but I remember them all. And they were brilliant. This year I’ve managed to curb my online shopping habits (you can be the judge of whether that’s a good or bad thing) so have been getting my fix purely from adding to shopping bag and then emptying. It’s a wild world let me tell you. 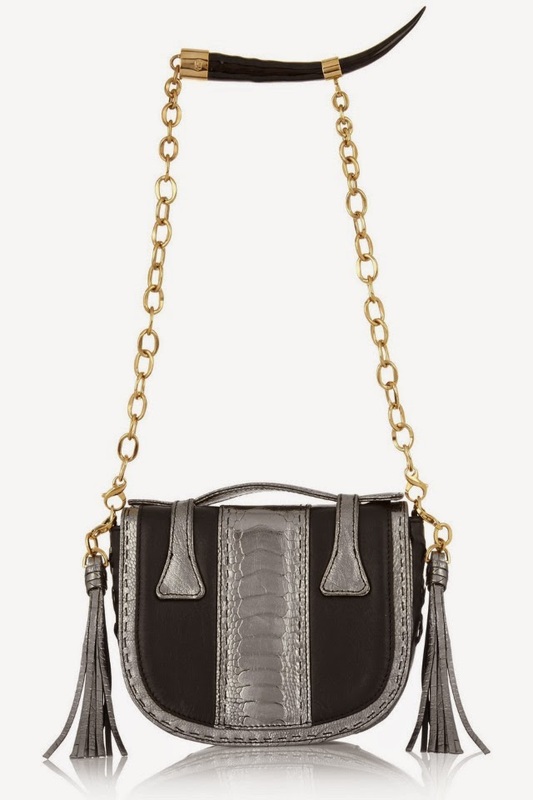 My latest bag crush comes from Okapi, a label which has just dropped on Net-A-Porter. I love the ethos behind their label with all handbags being made entirely in South Africa from locally sourced materials, helping to create honest and sustainable job opportunities and skills. The bags are gorgeous and look earthy, if you can describe a bag like that. These are the kind of bags that I think would look even better a little weathered. They need to be beaten in a little, softened and faded. These are definitely bags that can be carried around again and again without ageing or god forbid going out of fashion – cue major eye roll. Out of the ten on Net-A-Porter I have a soft spot for the two above. The Yemaja is delicious. with the half moon shape, the gunmetal and the Springbok horn. As for the red Lamai, well, it’s beautifully structured, a bold red and looks slightly worn. I’d be happy with either.